The 21-month Telfer School of Management Executive MBA program begins every September, with traditional in-class sessions lasting until the following April. The following month the program meets in Silicon Valley, California for seven days, before students begin their summer Individual Business Consulting Project. After resuming classes in September, the second year culminates with a nine-day international trip, which was chosen by the cohort during the first year in the required International Market Evaluation and Strategy course. Classes are held on alternating Fridays and Saturdays at the Sun Life Building at 99 Bank Street, Suite 200, Ottawa. The Telfer EMBA curriculum focuses on management development through a hands-on educational approach, team development (seminars take place once per month in the first four months of the program), and international experiences, with trips taking place in the first and second year. The average age of the most recent Telfer EMBA cohort was 38-years old. The average work experience is 15 years, and the average size of the a class is 38. About 36 percent of the class is female, with about 67 percent of students coming from Canada, with 33 percent international students. The average GMAT score was 606. Post-grad salary averages for University of Ottawa Telfer School of Management students is an estimated $102,154 CAD. 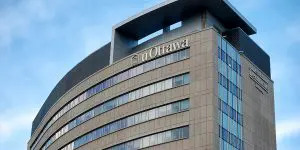 The total estimated cost of the University of Ottawa Telfer School of Management Executive MBA program is $75,000 CAD. This covers the cost of books, fees, other materials, meals, all amenities afforded to full-time MBA students, and more. Options on funding your education, either through private and/or public loans, employee sponsorship, plus important tax status information, can be found here. All applicants must interview with the EMBA program director, have an undergraduate degree with at least a 70 percent grade average (can be supplemented with significant work experience), and five years minimum work experience. Application are reviewed on a rolling basis for the Telfer EMBA, unless otherwise noted.